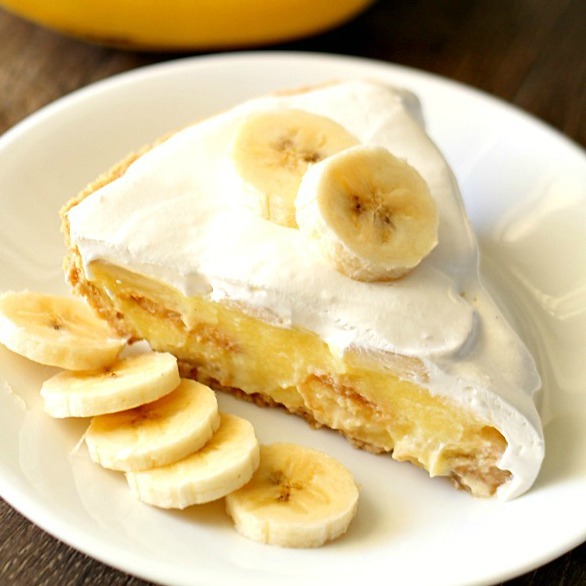 This Banana Cream pie doesn’t get any easier! You could use a homemade crust if you prefer, but if you are in a pinch for time, the pre-made crusts work perfectly!! In a large bowl, mix together vanilla pudding mix with milk. Set in the refrigerator for about 5 minutes until it sets up. Once your pudding has set, grab your pie crust and begin assembling your pie. Line the bottom of the pie crust with banana slices, then spread half of the pudding mixture on top. Place a layer of cookies on top of pudding, then add the rest of the pudding on top of the cookies. Spread the remaining banana slices on the pudding, then top with Cool Whip. Place pie in the fridge for at least 2 hours before serving to let it set up. Hi Rosie, we are so sorry for the trouble! I went ahead and updated your email address. You should receive a confirmation email. If you're not seeing it in your inbox, be sure to check your spam folder and mark our address as "safe" so they will appear in your inbox in the future.